Approximately 85% of Pinterest users are female and according to Comscore, they are using the platform to shop: “Women on Pinterest are 30% more likely to shop or buy online than the average woman, and Pinterest users spend nearly two times the norm”. Promoted Pins were launched in January, so brands can now sponsor posts to get content in front of the eyeballs of more women. Instagram is lagging behind e-commerce advances, but add-ons such as “Like to Buy” are helping to facilitate purchases. The power of Michelle Phan lies in her influence on women. She is a trusted peer that young females look to for product recommendations and inspiration. Lancôme recognized this and recruited her as their official video make-up artist. Phan’s latest venture is Ipsy – a beauty subscription to rival Birch Box. Word-of-mouth advertising is said to be the most influential (84% trust vs 62% for TV), and bloggers are now widely recruited by brands to feature products in their content for a more authentic advertising experience. Brands in the beauty category are starting to realize that one message doesn’t fit all. Women over 55 want products that overtly address wrinkles, while 18-39 and 20-54 year-olds prefer products that “maintain your looks” and mention “youth”. L’Oréal is starting to tailor messaging in order to unlock growth in a category that is valued at $33.3 billion. Their latest ad starring Helen Mirren speaks to older women and directly addresses their concerns about ageing. A recent study from Nielsen reveals that 55% of respondents would pay extra for products and services from companies that are committed to positive social and environmental impact. An important distinction between men and women are the causes they care about. Women support human-oriented causes such as disease and maternal health, while men are more drawn to small business support, education and technology. US jewelry designer Kendra Scott is an example of someone who has consistently used her brand to support charities, resulting in a loyal customer base that values this commitment. Many brands still target stereotypes: automotive brands often think their primary target is men, but women buy more than half of all new cars in the US and influence up to 80% of all car purchases. 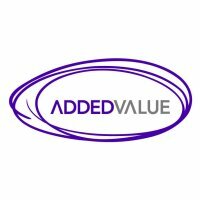 At Added Value, we have worked to help classic ‘male’ brands market to women. We opened Diageo’s eyes to what women really want by creating a set of actionable marketing principles across their brands, with the result that targeting women within their portfolio has now become a key strategic priority. Women in Indonesia are said to control 65% of purchase decisions, and now that approximately 40 million women are now online, this is a huge opportunity for brands. Social media is their preferred online channel for shopping (87% of respondents) and 74% are more influenced by friends in social media and community platforms when it comes to purchase decisions. The beauty category in particular is lucrative – worth $2.2 billion – but it is a saturated market with approximately 10,000 brands. The latest short film from Chanel stars supermodel Gisele Bündchen and aims to make the No.5 perfume relevant to a new generation of women. The film may have left some people confused (why did she take so long to open the letter? ), but in the fashion world, it was celebrated for its fresh narrative. Gisele is depicted as a modern woman – working to balance her career, husband and children – while also embodying the spirit of Coco Chanel. A more modern perspective of women presented in a highly stylish way. Cutting through the messages they are bombarded with takes a keen understanding of the consumer. Amy Errett, founder of hair color company Madison Reed, says that talking directly to female consumers and listening in return is key to helping them connect with the brand in a relevant way.